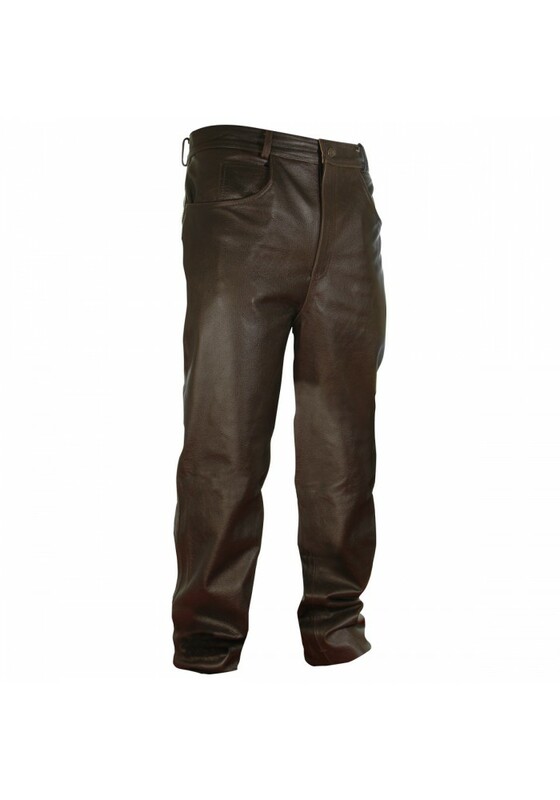 Men's classic jean style leather pants from American brand jackets-leather presents you with sumptuously soft leather trousers. Made from high grade cowhide leather these pants are essential for the discerning rider. 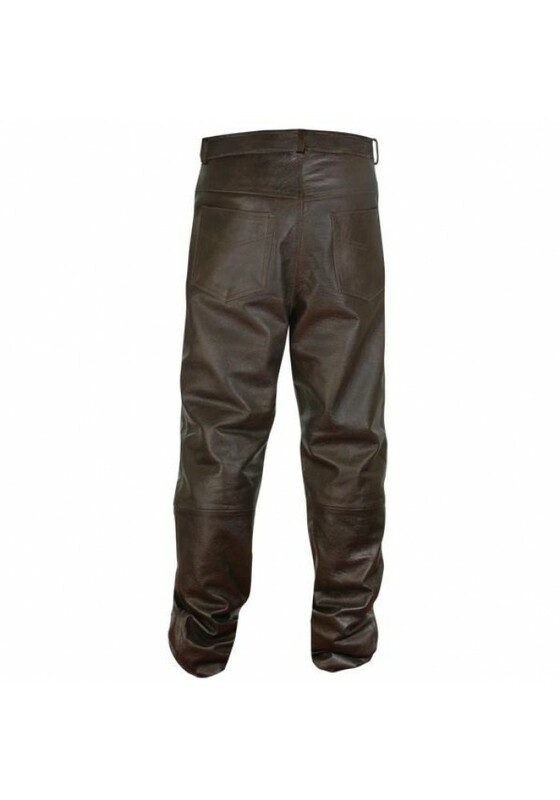 One piece straight cut front panel and fully lined up to the knee these leather pants offer full range of movement while on the bike. Perfect for bikers and casual wear.